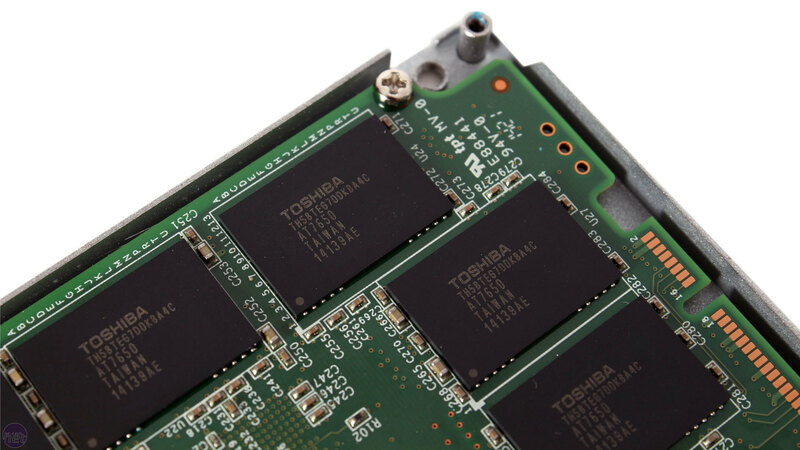 Since Toshiba completed its acquisition of OCZ at the start of this year, OCZ has unsurprisingly put Toshiba NAND into both its Vector and Vertex lines, but today marks the first launch of a brand new line of SSDs since the takeover. The Arc 100 SSDs are the company's first real set of entry-level consumer drives with a real focus on value for money, much like the Samsung SSD 840 EVO and the Crucial MX100. The MSRP of $119.99 puts the 240GB model at approximately £90 including VAT for UK users. This is certainly great value, and close to the price of the equivalent capacity Samsung and Crucial drives just mentioned. 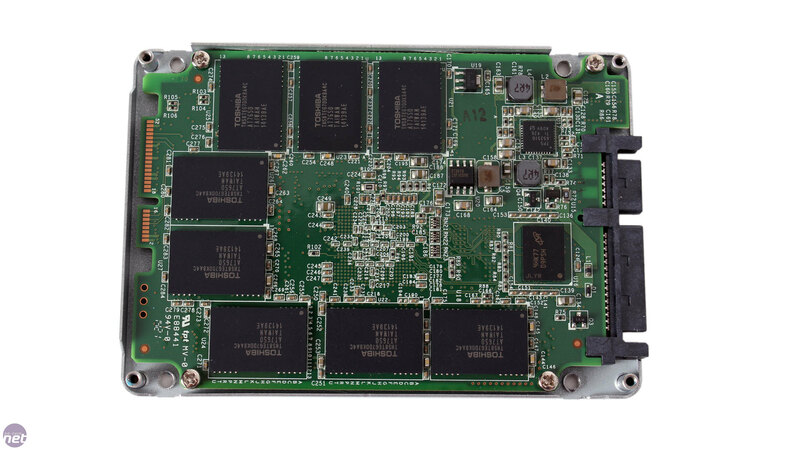 The Arc 100 is your standard 7mm tall 2.5-inch SSD with a SATA 6Gbps connection. The chassis is all metal, and feels heavy and very robust. A sticker with a clean design worthy of showing off in builds covers the entire front face. The drive also ships solo – no accessories or software is included. The nominal capacity of 240GB means OCZ is using a bit of extra overprovisioning on the 256GB of raw NAND. It's common to see drives do this in order to aid their garbage collection and wear levelling algorithms and to thus improve I/O consistency and endurance. In this case, you lose 14.9GB of usable space after formatting compared to drives with nominal capacities of 256GB. We're used to seeing drives now with maximum sequential read and write speeds that virtually saturate the SATA 6Gbps bus, i.e. between 500 and 550MB/sec, and with maximum random read and write speeds of between 90,000 and 100,000 IOPS, so with this in mind the claimed specifications for the Arc 100 range are pretty underwhelming. 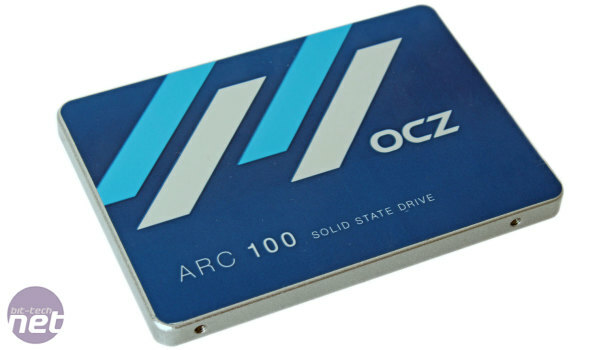 However, OCZ is very keen to stress that the major benefits of its drive is its performance in mixed workloads and its ability to maintain performance consistency, hence the inclusion of steady state random performance in the specs. On the other hand, I/O consistency and steady state performance are typically traits more relevant to professional and enterprise drives, as for most home users (i.e. those that OCZ are explicitly targeting here) peak performance is generally considered more important given that demands on storage devices from such users most often come in individual bursts as opposed to a relentless bombardment of I/O requests. 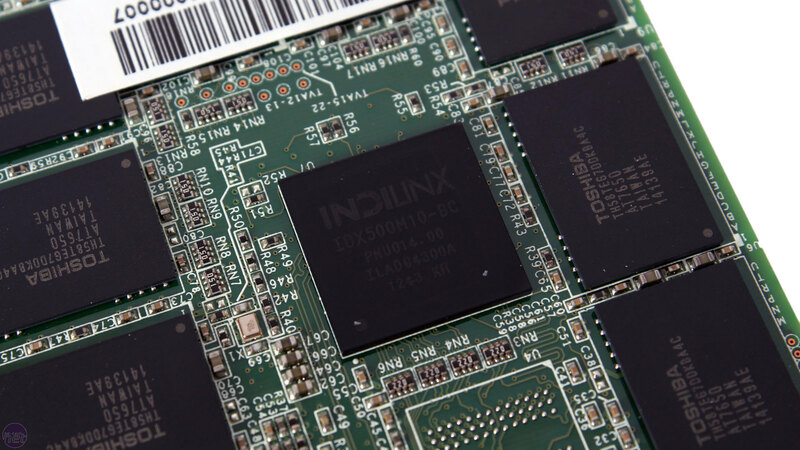 Even so, it is of course a benefit for an SSD to be able to maintain performance over time. 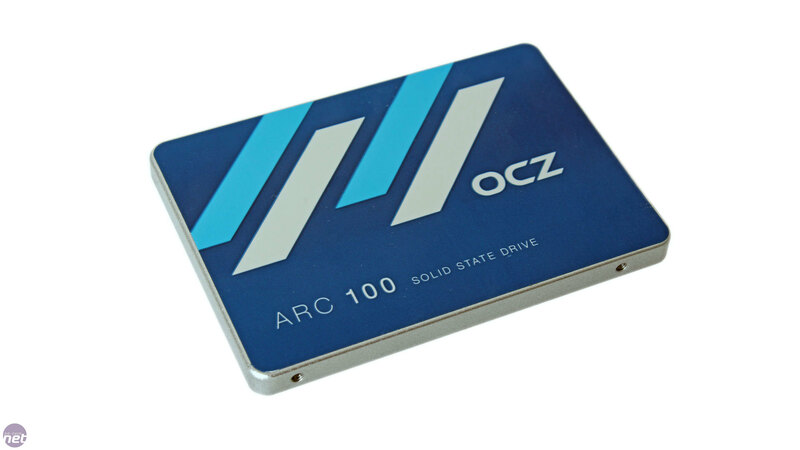 In terms of hardware, the Arc 100 is the first OCZ drive to use Toshiba's A19nm MLC NAND (the previous gen was known simply as 19nm MLC, and the A here stands for Advanced). 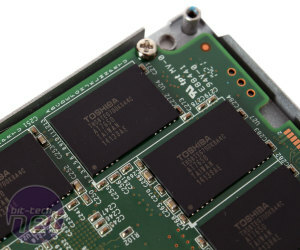 This NAND is apparently pretty flexible, as it's used in high-end and professional products as well – Toshiba includes it in its own HG6 SSDs and the upcoming Vector 180 from OCZ will also contain it. The controller is a familiar sight, the Barefoot 3 M10 from Indilinx, which is an eight-channel model that's also used in the Vertex 460. It is essentially a downclocked variant of the Barefoot 3 M00 used in the Vector 150. As you'd expect, the Arc 100 uses firmware developed in-house by OCZ. As is common with entry level SSDs, the Arc 100 ships with a three year warranty and an endurance rating of 20GB/day of host writes, which means you can write approximately 22TB of data to it before the warranty is invalid. This is also the same as the drive above it in the stack, the Vertex 460, while the premium Vector 150 carries a five year warranty rated for 50GB/day. Encryption comes in the form of 256-bit AES; support for Opal 2.0 and IEEE-1667 is absent. 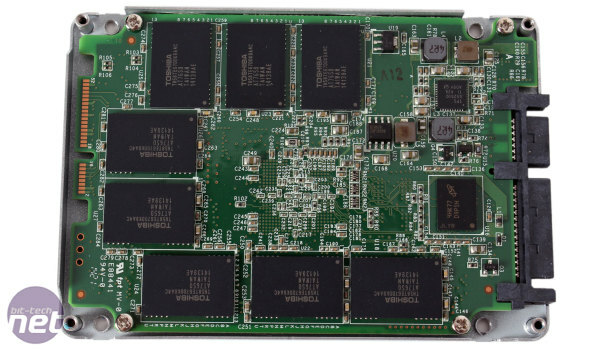 This means both the SSD 840 EVO and MX100 have it beaten here, and the latter drive also features built in data redundancy through RAIN as well as power loss protection.